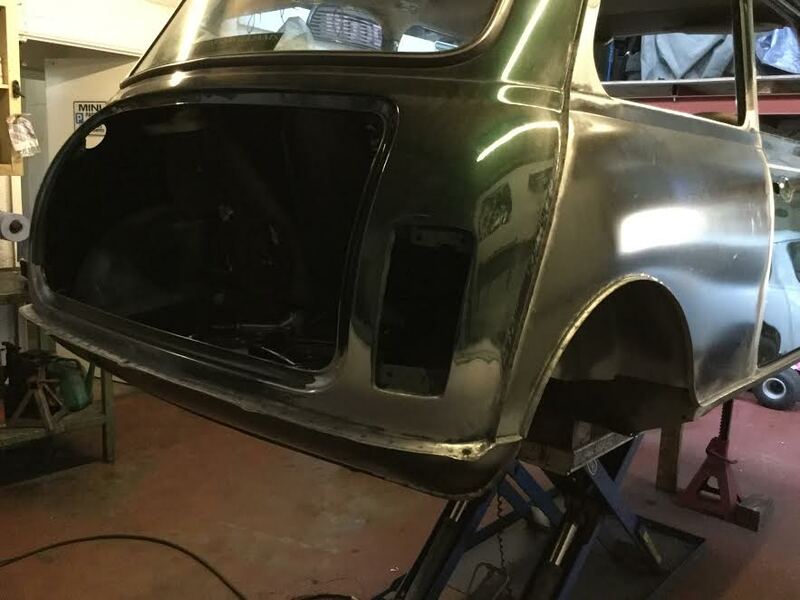 This Mini Cooper Sportspack arrived from the Channel Islands for body restoration and displayed the normal rust issues associated with late coopers. 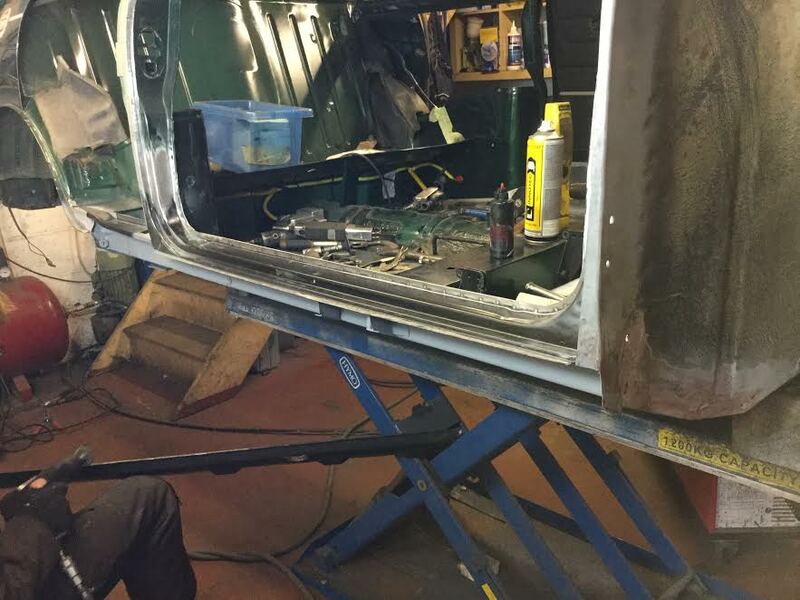 The Real Mini Company replaced the front wings, front panel, scuttle panel, upper dash rail, a panels, inner and outer sills including new jacking points, door steps, rear quarter panels with the stiffeners and closers inside companion bin, boot hinge panel and rear valance. We also powder coated and fitted a new heritage rear subframe. The car was painted British Racing Green and then put back together ready for the return ferry journey and is now safely stored away in a garage with a collection of classic cars.